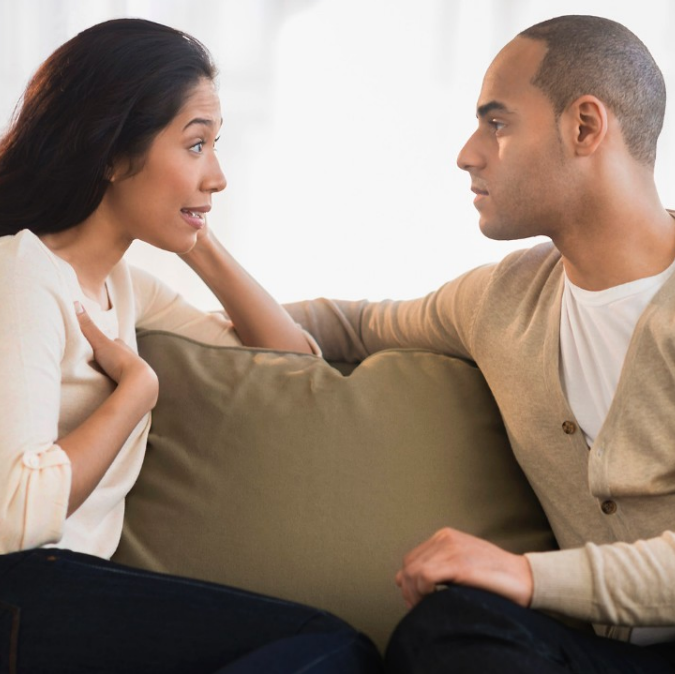 "The Spiritual Intimacy Experience" consists of fifteen questions that partners can ask each other to develop a deeper connection. Many have found that answering these questions with their mate led to the most profound experience of intimacy they had ever had. In workshops I lead, I've seen that even when complete strangers openly share their responses to these questions with each other, a beautiful sense of bonding is created. For a spiritual intimacy experience, all you need is a willing partner, about forty-five minutes of time, and a somewhat quiet and private location. You can do this exercise with a lover, parent, child, friend, co-worker, or new acquaintance. Yet, since it leads to a deep level of sharing, make sure you do it with someone you'd like to be closer to. Also make sure you have plenty of time, and are in the mood to fully open and connect with another human being. You are about to begin an extended sharing experience. Really getting to know another person involves a learnable set of skills and attitudes, risk-taking, trust, and acceptance. The following questions are designed to assist you in getting to know another person on a fairly intimate level. They can be answered to whatever degree of self-disclosure you wish. Take as long as you like to answer each question. After one person has answered a question, the other person answers that question. Carefully listen to your partner's answer, and feel free to ask related questions that might further clarify or expand upon that answer. If a conversation naturally unfolds from your partner's response, that's perfectly all right as well. Once both of you have answered the first question, proceed to the next. If you give this exercise enough time and sincerity, you'll find it to be a very satisfying and powerful experience. What is extremely important to you? When do you feel most affectionate? What are you avoiding right now? What helps you to feel really loved? What is the thing you most regret having done? What is your heart longing for? What kind of person have you dreamed of becoming? Besides being great way to get to know someone at a deeper level, this exercise also demonstrates a process by which relationships can become more intimate. When we ask a friend or partner meaningful questions, it opens the door for a more profound level of connection with him or her. Most people hunger to talk about important topics. Asking "big questions" is a simply and effective way to know the soul of another person -- and experience your own essence as well. Yet, asking good questions only half the story. The depth to which you can truly listen to your partner in a nonjudgmental manner will determine the experience you have in this exercise. Try to listen with an open heart and a quiet mind. You may also want to make up your own questions. As long as you create an atmosphere of safety and warmth, people appreciate the opportunity to talk about themselves. In our fast-paced world of gadgets and hype, the spiritual intimacy experince can be a great way to share the wonders of being human with someone you care about.